Combine together the rice flour, chickpea flour, cumin powder, asafoetida powder, red chilli powder, turmeric powder and salt. Prepare thick batter using water. Slit the chillies keeping its tail-end intact. 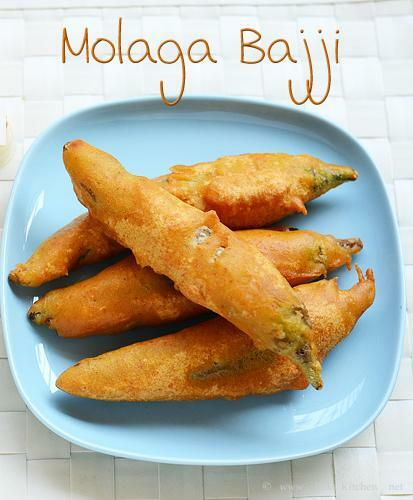 For preparing stuffed chilli bajjis, mix tamarind paste and mashed potato with a little salt. Fill the mixture inside each Chilli and close them well. Dip the chillis in the batter and deep-fry in the oil. Serve Chilli Bajji with sauce.